The Nadrau Project covers 33,213ha on the main island of Viti Levu, Fiji and is adjacent to the world class Namosi Porphyry Copper-Gold Project that reportedly contains the copper-gold equivalent of approximately 55 million ounces of gold. Dome has identified two major targets within SPL 1452, namely the Namoli and Wainivau Prospects. 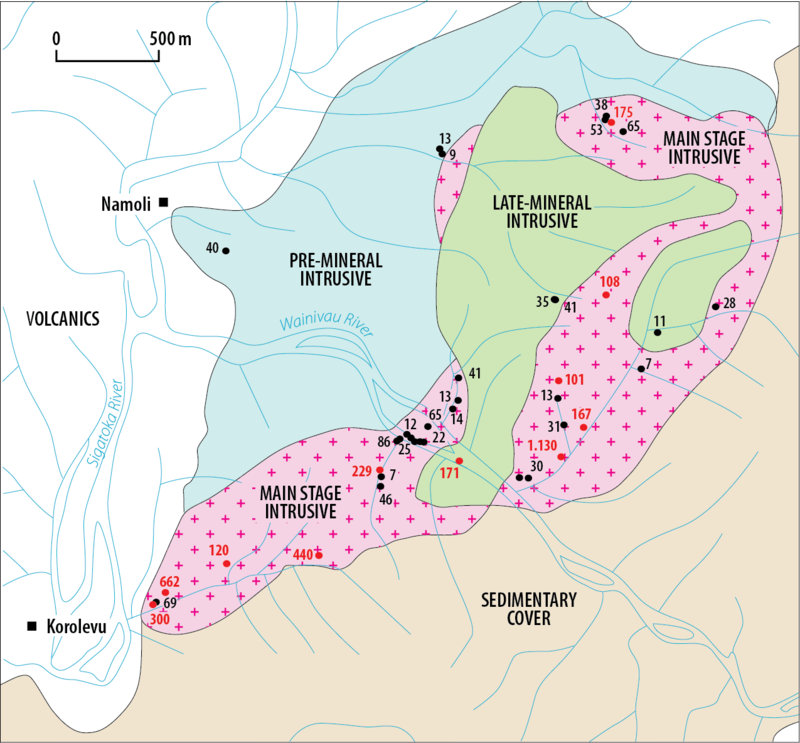 Both are located on the western side of the tenement and have significant potential for epithermal gold-silver mineralisation and related porphyry copper-gold mineralisation. A stream sediment copper anomaly has been known in the Namoli-Wainivau area since the 1970s. 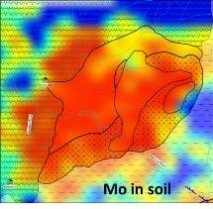 Earlier exploration work by Dome occurred during 2011-2012, when the Company completed an extensive ridge and spur soil sampling program over the area and the samples were analysed by the ionic leach technique. This work defined two spatially related areas of anomalous mineralisation. 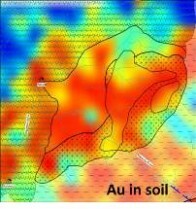 The Wainivau Prospect is a broad (open to the east) multi-element anomaly (2km x 2km) that has the geochemical signature of a porphyry copper system. The tenor of this signature suggested that porphyry mineralisation may be encountered at relatively shallow depths. As a potentially large system, this target may require several years of intensive exploration before a resource can be outlined. The Namoli Prospect is a northeast-trending multi-element anomaly (3.5km x 1km) that had epithermal characteristics, but appeared to be closely related to the major structure, which controls the course of the Sigatoka River and may extend to the western side of the river. This mineralised system was more likely to be located at near surface levels, which offers potential for rapid advancement to the definition drilling stage. 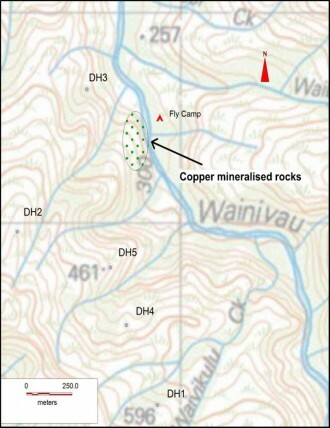 In July 2014, it was announced that Dome geologists had discovered outcropping copper mineralisation during exploration field work at the Wainivau Prospect (see ASX release dated 16 July 2014). 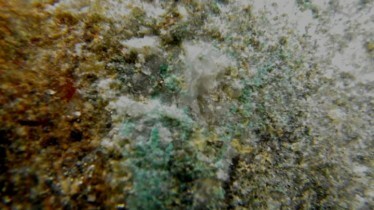 They found copper minerals (malachite and chalcopyrite) in veinlets in outcropping porphyry intrusive rocks, associated with magnetite and pyrite, typical of the roof of a mineralised porphyry system. The outcropping copper mineralisation displays features typical of Southwest Pacific Rim porphyry copper systems. 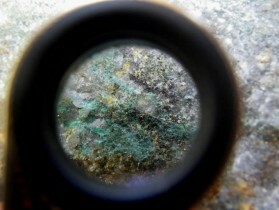 Dome geologists have observed copper both as chalcopyrite (primary mineralisation) within veinlets and fractures and as malachite staining (secondary mineralisation) within a variety of hydrothermally-altered rock types. 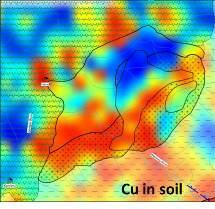 Dome is very encouraged by this discovery, as it is the first time typical porphyry-style copper mineralisation has been observed at surface in this area and its presence strongly supports this as a key target area for future drilling. Dome believes it has identified an attractive drill target at Wainivau, and follow-up work will aim at enhancing and defining this target by further geological mapping, rock chip geochemical sampling and geophysics (Induced Polarisation (IP) and magnetomiter survey). 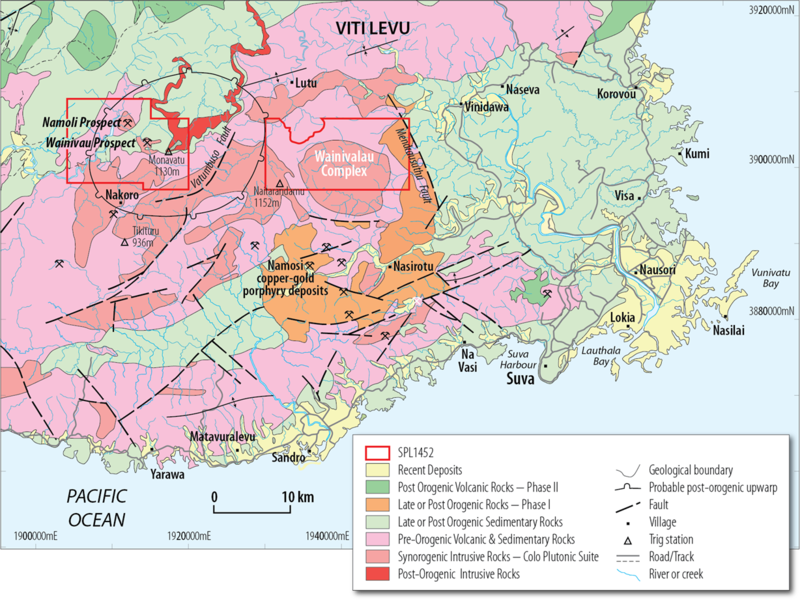 Once all results are processed, the Wainivau Prospect is expected to represent a prime target for the discovery of significant copper-gold mineralisation of Southwest Pacific Rim type. Dome is designing and estimating costs of an initial drilling program. 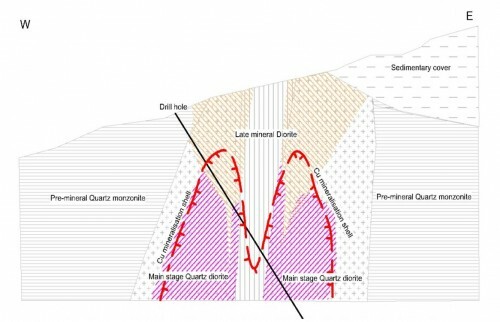 An interpretive cross section has been drawn showing possible sub-surface intrusives in the vicinity of the outcropping copper mineralisation at Wainivau and a conceptual target for future drilling. Quotes were obtained to undertake three dimensional Induced Polarisation (IP) and magnetometer surveys over the Wainivau Prospect. The objective of this work is to provide subsurface data on the intrusive systems whose interpretation will assist with targeting of exploration diamond drill holes. The geophysical surveys are planned to commence this year. The Namoli & Wainivau prospects are located approximately 2km apart along the course of Wainivau Creek. The Namoli Prospect is only partially exposed being hidden by younger sedimentary cover. 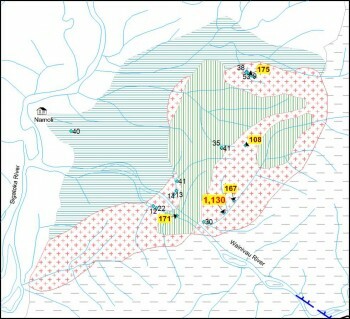 Ionic leach soil geochemical plots for Gold, Molybdenum and Copper over the Namoli Prospect are shown below. Hot colours (red-orange) represent stronger anomalies and cool colours (blue) are lower numbers. Mapping by senior geologists identified three intrusive units that are unconformably overlain by younger sedimentary cover at the Namoli prospect (see figure below). The three intrusives are related to mineralisation and alteration observed in outcrop. Dome mapped a 120m-wide zone within this unit of porphyry-type quartz veins in a creek bed. Dome is now mapping this in greater detail and collecting rock-chip samples. 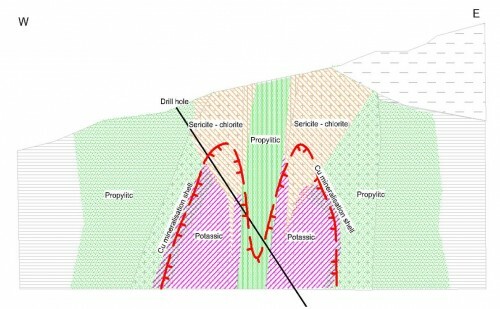 Propylitic, Phyllic and Sericite-Chlorite-Clay (SCC) altered intrusives are typical of the tops of mineralised porphyry systems. Copper assays (in ppm) from rock chip samples from the mineralised and altered porphyry outcrops at the Namoli Prospect are shown on the image below. Outcrops are rare due to cover by younger sediments or volcanics. The values are typical of the top of a mineralised intrusive complex and are expected to increase deeper into the porphyry system. 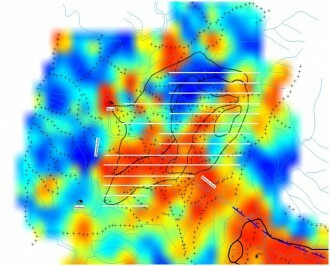 Quotes were obtained to undertake three dimensional Induced Polarisation and magnetometer surveys over the Namoli Prospect. The objective of this work is to provide subsurface data on the intrusive systems whose interpretation will assist with targeting of exploration diamond drill holes. The geophysical surveys at Namoli are planned to be undertaken this year.